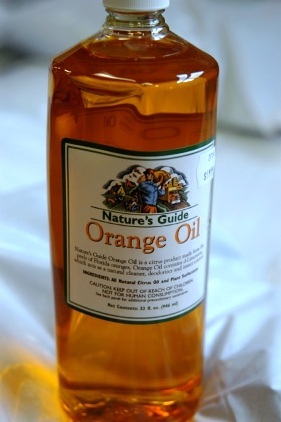 ANSWER: Orange oil that is strong enough to kill insects will be a little hard to make at home. The commercial technique extracts the oil from the orange peelings, creating a solventlike material that will melt the exoskeletons of insects. The strongest oil you can make at home would be to cook a cup of peelings with a cup of water. The resulting liquid will probably kill insects but I don't know how much it can be diluted and still kill. Whether it kills insects or not, it will be a strong cleaning material and the fragrance is pleasant. If it is used on the ground, it is good for the soil and plant roots. Good luck.